Nothing is worse than sneezing and wetting your pants in public. Okay, there are things worse than that, but it is embarrassing and inconvenient at least. 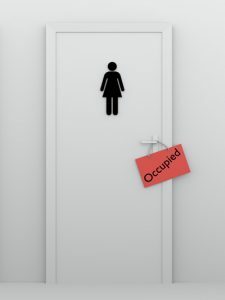 Urinary incontinence — the loss of bladder control — is a common and often embarrassing problem. The severity ranges from occasionally leaking urine when you cough or sneeze to having an urge to urinate that’s so sudden and strong you don’t get to a toilet in time. • Overflow incontinence. You experience frequent or constant dribbling of urine due to a bladder that doesn’t empty completely. • Functional incontinence. A physical or mental impairment keeps you from making it to the toilet in time. • Stress incontinence. Urine leaks when you exert pressure on your bladder by coughing, sneezing, laughing, exercising or lifting something heavy. • Urge incontinence. You have a sudden, intense urge to urinate followed by an involuntary loss of urine. You may need to urinate often, including throughout the night. • Mixed incontinence. You experience more than one type of urinary incontinence. Don’t suffer needlessly. If urinary incontinence is limiting your lifestyle, contact your healthcare provider. An evaluation by your doctor can determine the cause of incontinence. Incontinence isn’t a disease, it’s a symptom. It can be caused by an underlying medical condition, everyday habits, or physical problems. Several treatments are available to help with incontinence. Behavioral techniques, pelvic muscle exercises, medications, surgery, and other treatments can help improve your quality of life. You and your doctor can work to find a solution that fits your need. To learn more about the causes and treatments available for incontinence we suggest you visit The National Association for Continence website at http://www.nafc.org/.